It is a strange view of love, almost theatrical, as young, beautiful, and well-dressed men and women prepare to leave by boat for Cythera. Better known as Kythira, an island off the southeastern tip of the Peloponnesus, Cythera is reputed to be the birthplace of Venus. 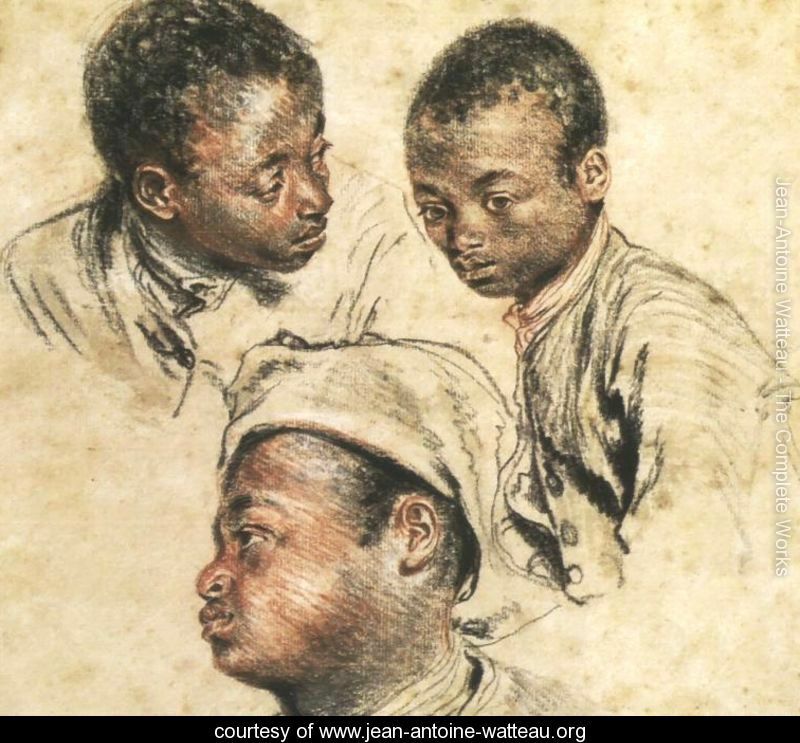 As usual, the painter, Jean-Antoine Watteau, has not seen fit to provide an explanation. Will the young couples come together and dedicate themselves to the enduring flame of love eternal? That would seem to be indicated by the little putti flying in the air at the left of the painting. 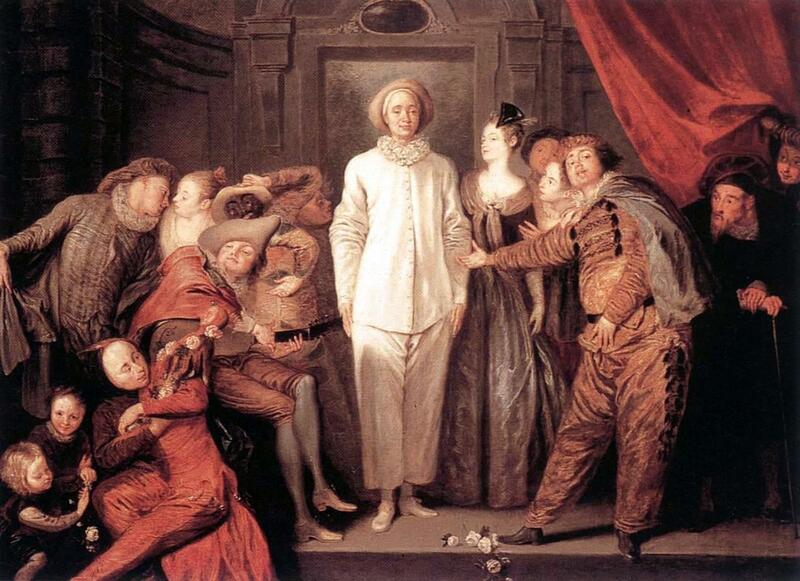 Alas, Watteau makes no promises. I have always thought of him as one of the greatest of painters—certainly the greatest painter of his glitzy century—and also as a poser of questions rather than a supplier of answers. What about that Pierrot in the above illustration? 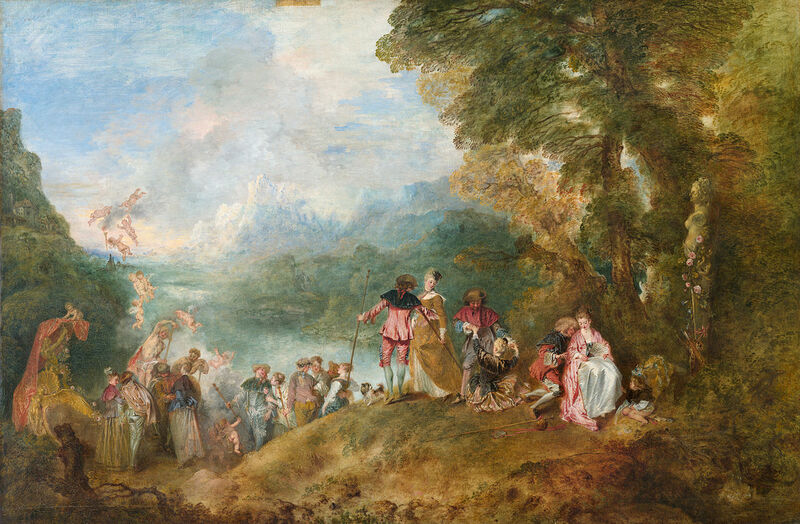 He is being introduced as if on the stage, while various other figures, ranging from lusty young men and women with babies to the elderly couple at the right of the frame. As the central figure, Pierrot is the image of innocence. It is almost as if the painter is giving us the full spectrum of love and life without indicating any clear preference of his own. Again, we are left with a question. There you have it: An incredible beauty wedded to strangeness, by a painter who is not well known in this country, but who always has made we wonder.